Click the image to open our catalogue. Calculations that detail volumes, for ponds, basins, steams and much more for any water feature, can be found here. To help you make sure the the products you're ordering are the products you need, for your particular project. 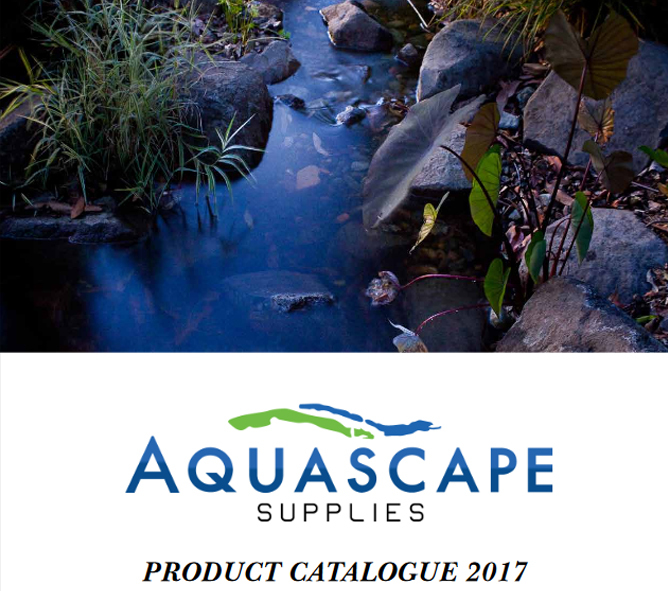 Additionally you can view the Aquascape Lifestyles Catalogue and the Water Feature Dream Book. Aquascape Supplies are the perfect choice for all of your backyard pond and water feature supplies and equipment, including pond pumps, pond kits, pond liners and water fountains. We supply all through Australia and New Zealand. If you have any queries regarding the products please don't hesitate to contact us.